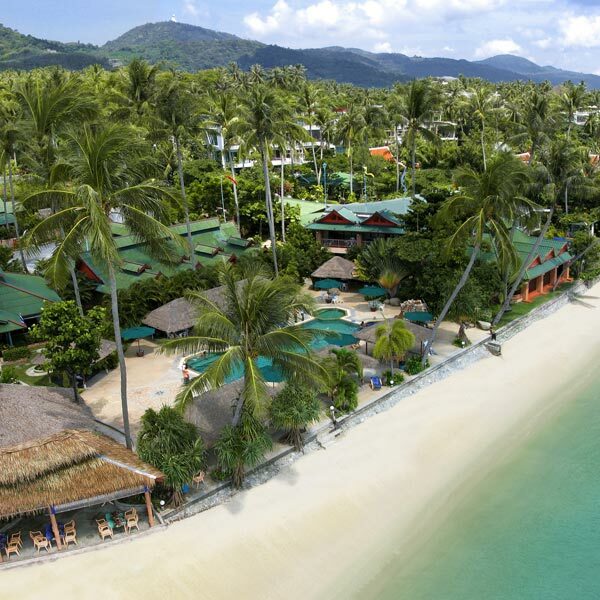 Phuket is one Thailand’s southern provinces, lying on the west coast in the Andaman Sea, which is a part of the Indian Ocean, from 7 degrees 45 minutes latitude to 8 degrees 15 minutes north latitude and 98 degrees 15 minutes to 98 degrees 40 minutes east longitude. The total area of Phuket, which is Thailand’s largest island, and the islands surrounding it that together form Phuket province, is 570 sq. kms. To the North is Phang-nga Province, connected to Phuket by two bridges. To the South lies the Andaman Sea. To the East lies the Bay of Phang-nga. To the West lies the Andaman Sea. 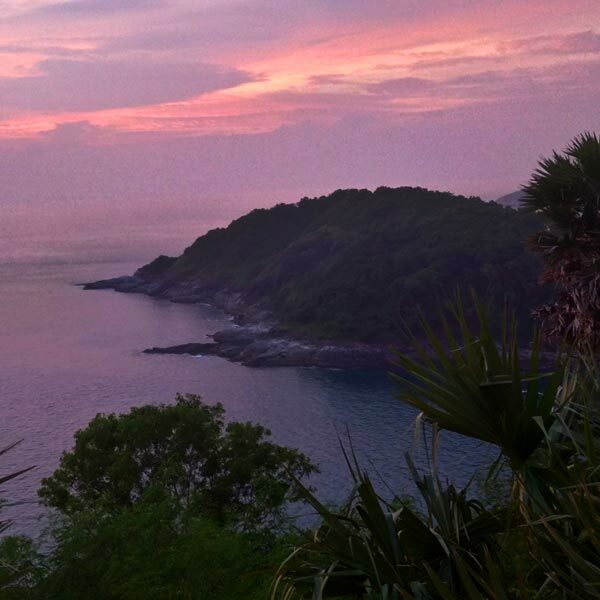 Phuket is broken by mountains and valleys throughout mainly from a north – south range running down the west coast. This accounts for about 70 percent of the land area. The tallest peak, Mai Tao Sip Song (12 Cane Peak) is roughly 529 meters, in Tambon Patong, Kathu District. The other 30 percent of the land mass is flat land located mainly in the central and eastern portions of the island. Sandy beaches and mountains lie on the west; in addition there are small estuaries and lagoons, including Klong Bang Yai, Klong Ta Jeen, Klong Ta Rua, and Klong Bang Rong. Investment in the tourism business has seen the most expansion and is the area with the greatest income. Tourist related businesses include: hotels, restaurants tour agencies, and souvenir shops. Agriculture is also important, including chiefly: rubber planting, coconut, and pineapple. There is considerable activity as well as fishing and raising fish and shellfish in farms. Important industries include: processing of agricultural products, and refining tin. 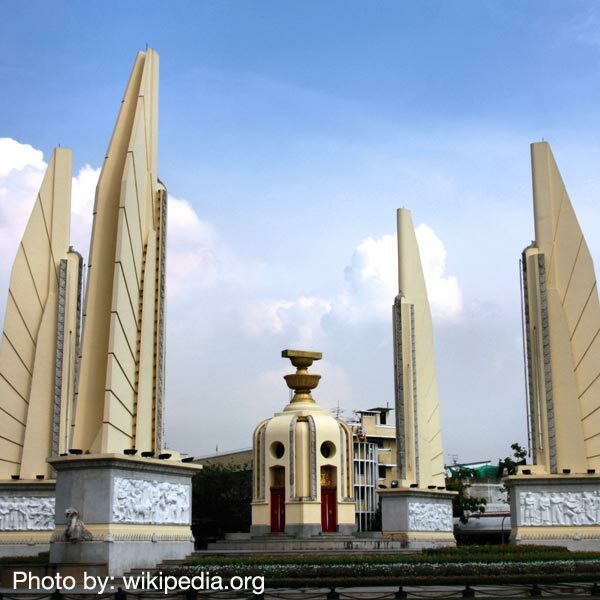 Phuket government is divide into 3 districts (called ‘Amphur’): Amphur Muang (Phuket Town), Talang, and Kathu. By car or coach: From Bangkok use route 4 passing Nakorn Pathom, Prachuabkirikan, Chumporn Provinces, Kraburi and Kaper districts in Ranong Province, and Kuraburi, Takua Pa and Takua Tung districts in Phang-nga Province. There you will reach Ban Kok Kloy, the last big town on the road to Phuket, which, though an island, is reached by crossing the Thao Thep Krasattri Bridge. The total distance is about 867 kms. By Air: Phuket can be reached directly from points all over the world. For further information contact Thai Airways International or your local travel agent. By Sea: Port of Phuket at Ao Makham has facilities for cargo transfers, and is also a frequent stop for cruise ships both from Thailand and from abroad. Contact Tel: 076 391 155 for information about cruises touching at Port of Phuket. Bus: Normally operational from 8 am until 6 pm. These unique looking buses leave every 30 minutes from Phuket market, which is located on Ranong Road, to many places all over Phuket Island. This form of transport is a good choice for those who are not a hurry. The bus fares range from 15 to 25 Baht depending on destintion. Motorcycle Rental: There are several sizes of motorcycles, from 90 CC. to 400 CC. for you to rent. Rental shops will keep your passport during the rental period. The prices begin at 150 Baht/day depending on the size that you choose. If this is the mode of transportation you’re looking for, simply keep an eye out for shops that have a ‘Motorcycle for Rent’ sign posted in the front. Tuk Tuk's & Motorcycle Taxis: Tuk-Tuks are three or four wheeled small vehicles, and are another style of transportation unique to Thailand. 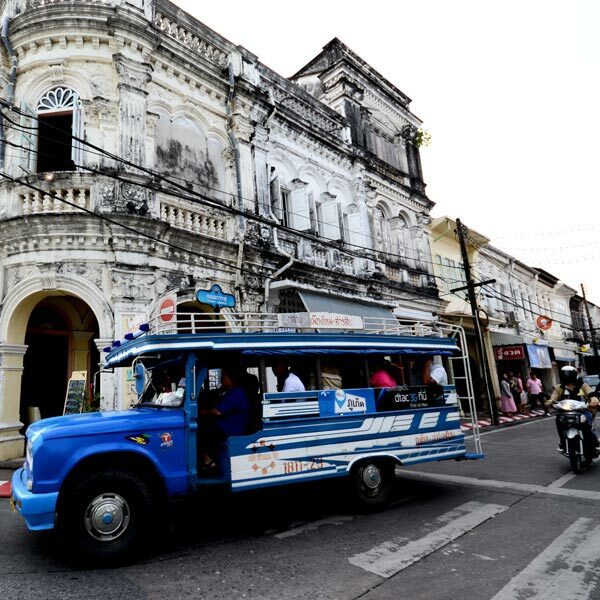 You can hire a Tuk-Tuk to go anywhere around Phuket Island, even from the east to west of the island. The price rises depending on how far would like to travel. For shorter distances, hop on the back of a motorcycle taxi, but of course make sure the driver has a spare helmet available for you before you do. Car Rental: This is best way for one who would like to travel around Phuket Island in real convenience. 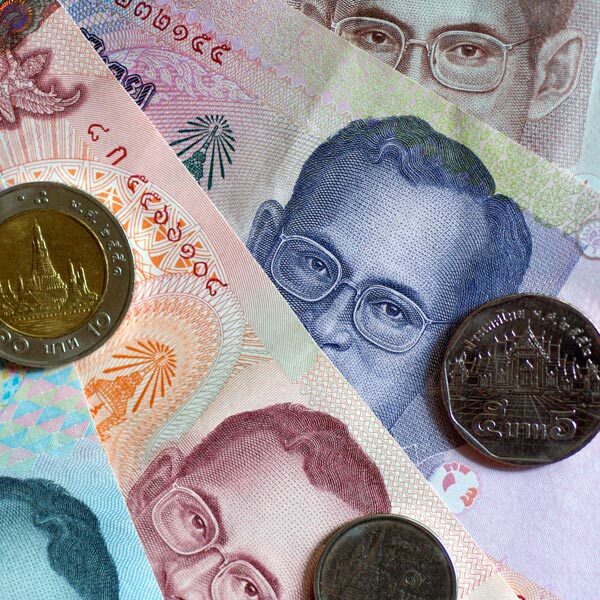 Not only international driving licenses, but also your home country’s licenses are valid to rent a car with prices begin at about 1,000 – 1,200 Baht/day.